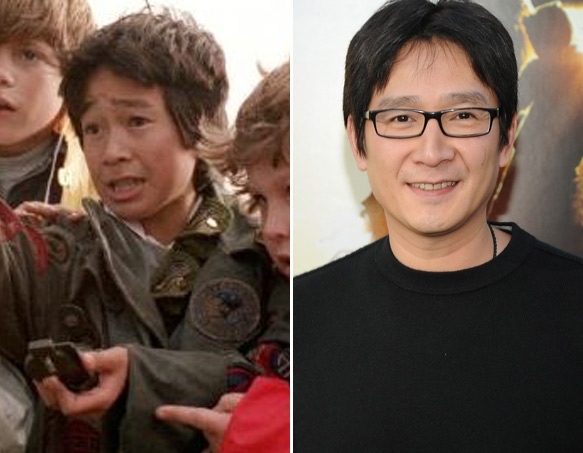 Jonathan Ke Quan as "Data. . Wallpaper and background images in the The Goonies club tagged: goonies cast. This The Goonies photo might contain সবুজ টুপিবিশেষ, বিশেষ বাহিনী, অভিজাত সৈনিক, পরিচ্ছদে, and রাইফেল ধারী সৈনিক. Robert Davi as "Jake Fratelli"
Sean Astin as "Mikey Walsh"